This morning, in a conversation with film critic and radio host Elvis Mitchell as part of the Future of StoryTelling Festival, Academy Award®-winning filmmaker Steven Soderbergh (“Traffic”; HBO’s “Behind the Candelabra”) debuted a first look at MOSAIC, a groundbreaking app that allows viewers to choose how they experience the story. Presented by PodOp and developed for HBO by Soderbergh and Casey Silver, in conjunction with writer Ed Solomon, the MOSAIC app is an interactive storytelling experience, available as a free download in November, and will be followed by a six-part limited series of the same name that will air on HBO in January 2018. Sharon Stone stars, along with Garrett Hedlund, Frederick Weller, Beau Bridges, Paul Reubens, Jennifer Ferrin, Devin Ratray, Michael Cerveris, James Ransone, Jeremy Bobb and Maya Kazan. 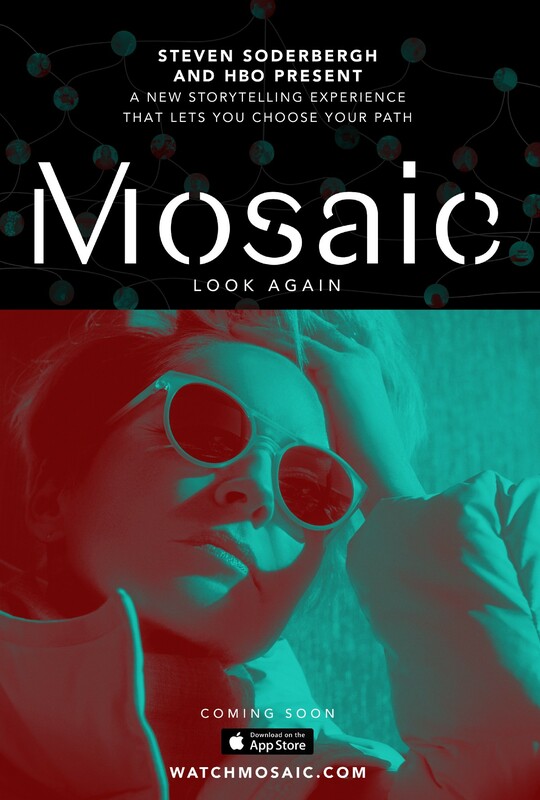 Three years in the making, the MOSAIC app allows viewers to choose what point of view from which to follow the story and, in effect, build their own experience from the material created by Soderbergh and Solomon. The choices one makes build upon one another, enabling multiple tellings of the story from different perspectives and, sometimes, with different conclusions. Viewers will be able to see how their own versions of the story on the app ultimately compare to Soderbergh’s six-part linear narrative in January.